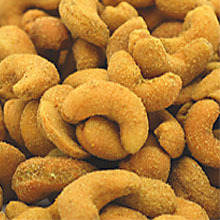 Creamy cashews coated in a zesty jalapeno seasoning are a healthy and spicy snack you're sure to love if you're brave enough. Try some today! Price quoted is per pound, not including shipping.